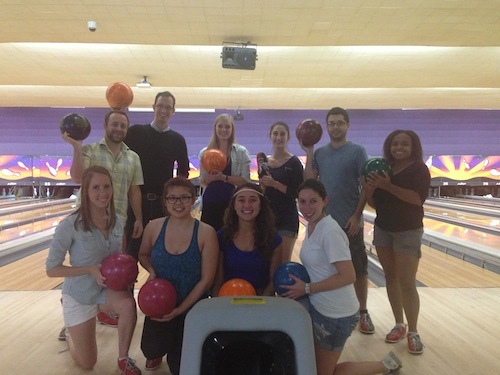 Check out all the fun we have in lab with all the awesome members of our research team! 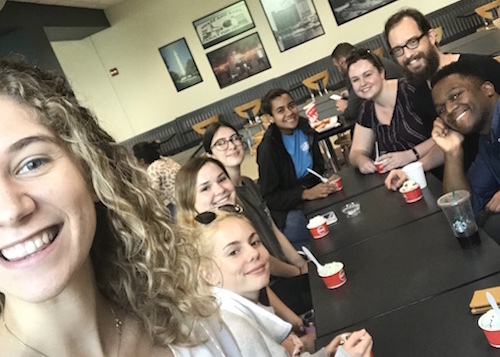 The lab got free ice cream from The Dairy for winning a contest during teacher appreciation week! 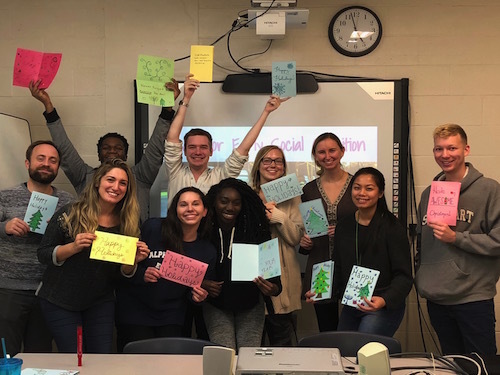 The lab decorated holiday cards for hospitalized kids! 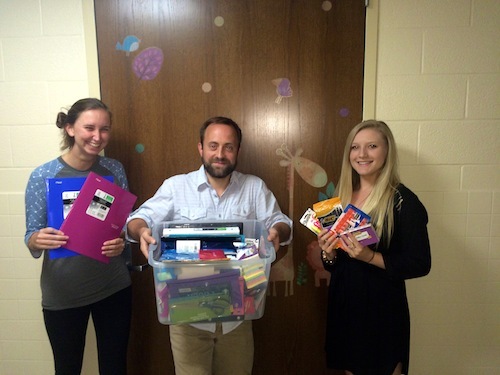 We donated to a school supply drive supporting the Boys and Girls Club of D.C! 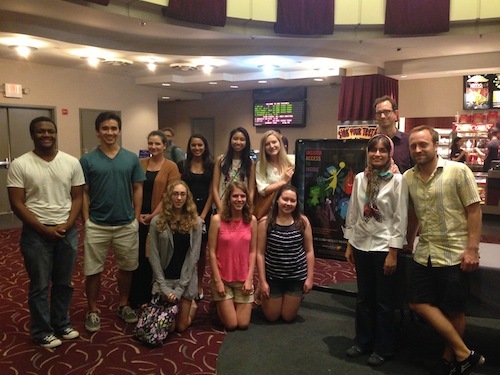 The lab took an outing to the movie theatre to see Disney/Pixar's Inside Out! 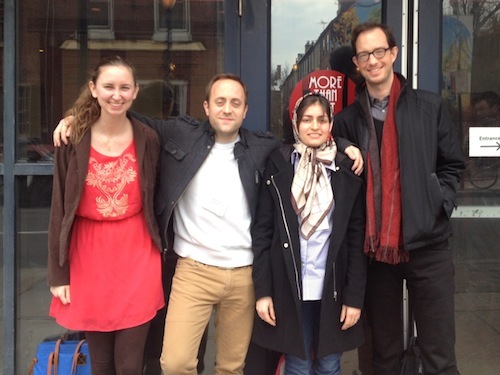 The graduate students and Dr.Beier enjoy brunch at a conference in Philadelphia. 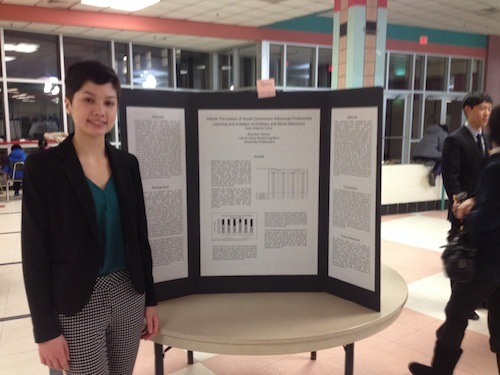 Our high school intern from Summer 2014, Kara Watkins-Chow, presents research from lab at her high school magnet program. 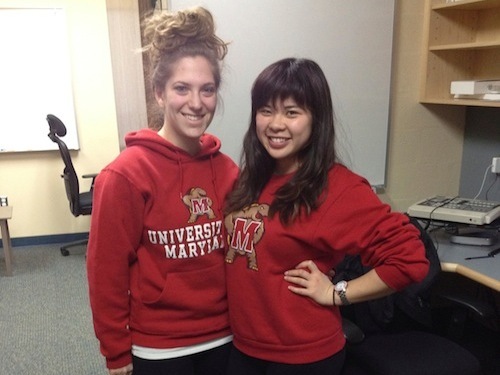 Undergraduate research assistants - Abby and Evelyn - with some serious school spirit! Go Terps! 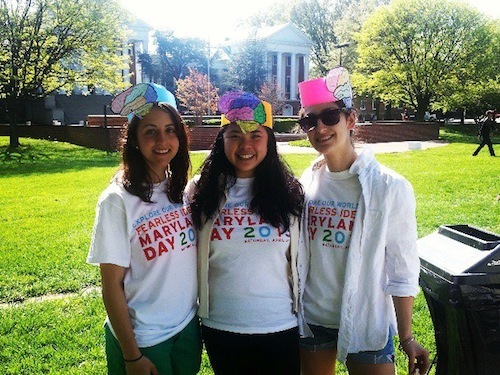 Beautiful day to wear some brains - Maryland Day 2013! 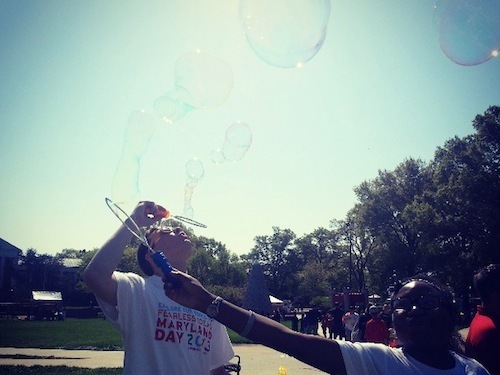 The kids at MD Day 2013 liked blowing bubbles, but so did our RAs!